Is this a Silvertone or what??? 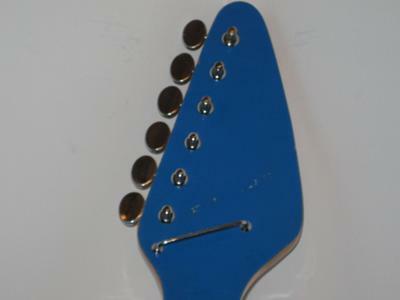 HI i was wondering if anyone can identify this guitar??? I was sure that it said silvertone on the head until i wiped off thr grime, and the name went with it.. I have looked on line but can not find any silvertones to match ,the best match is the tiesco avt3 , but the body is slightly different ...Teisco built silvertones and i was wondering that maybe this body might have been cut wrong but released anyway..It doeas say made in Japan on the back plate and that is it ,no serial # .Ia'm including some pics ,Thanks Les.